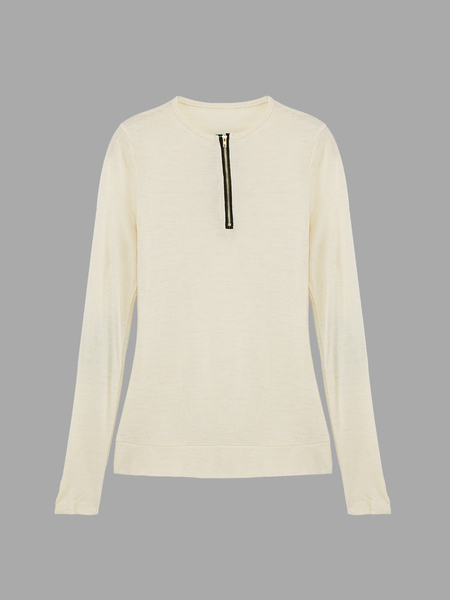 Zip Neck Top with Elbow Patch, For your daily wearing, this top is your best choice. It features hign neck with zipper design and elbow patch to adds more colorful element. Style with your jeans for a relaxing look.